The award of Military Cross to Lieutenant Walter Stanworth (East Lancashire Regiment), son of Mr. James Stanworth, J.P. of East Park Road, Blackburn, though announced unofficially some months ago was only gazetted this week. The award is in the following terms; "For conspicuous gallantry and devotion to duty while in charge of wireless communications. Under heavy shell fired and difficult conditions generally he personally erected forward wireless stations. Wireless was the only communication for 24 hours. He did excellent services." At an investiture at Buckingham Palace to-day, Lieut. Walter Stanworth, only son of Mr. and Mrs. J. Stanworth, Fern Bank, East Park road, will be decorated by his Majesty the King with the Military Cross, awarded for conspicuous gallantry in proceeding through a heavy barrage to an advanced post in order to establish wireless communication with the forward line and supporting troops. It was a particularly hazardous undertaking. Several of the company were killed before Lieut. Stanworth, who volunteered for the task, managed to get through. The whole time he carried his life in his hands. Lieut. 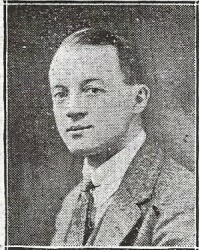 Walter Stanworth, Royal engineers, only son of Mr James Stanworth, of Fern Bank, East Park Road has been awarded the Military Cross for "conspicuous gallantry and skill from March 22nd to April 2nd 1918, when in charge of the Wireless Section, he erected forward stations under heavy shell fire. His work was of the greatest assistance, as at one time it was only communication with one of the Brigades." Lieut. Stanworth is a keen amateur exponent of wireless telegraph. He enlisted in July 1915, in the East Lancashires, transferred to the Cheshire Regt., and was drafted to France ten months later. Subsequently he was transferred to the Royal Engineers, gazetted first-lieutenant, and drafted to the Italian front. He remained there until March last., and when the German offensive began he returned with his unti to the Western Front. Lieutenant Stanworth is 23 years of age, and prior to joining the army was in business with his father.